Half Filipino but raised in an American household, Deborah Francisco Douglas had always longed to know more about her Filipino heritage. So when a thick government-issued envelope arrived at her door announcing her assignment to the Philippines as a Peace Corps Volunteer, she snatched the opportunity and set out on a journey of self-discovery, travel, and adventure. Arriving in the mountain town of Baguio City, Philippines, she was introduced to a life of obnoxious roosters, bucket baths, and kids shouting her name every time she walked down the street. Despite her attempts to get involved in the community, her desire for belonging and identity did not materialize as quickly as planned. Realizing that “Filipino time” means nothing ever happens in a hurry, Deborah braces for the journey ahead, hoping to find answers, and above all, to find herself. 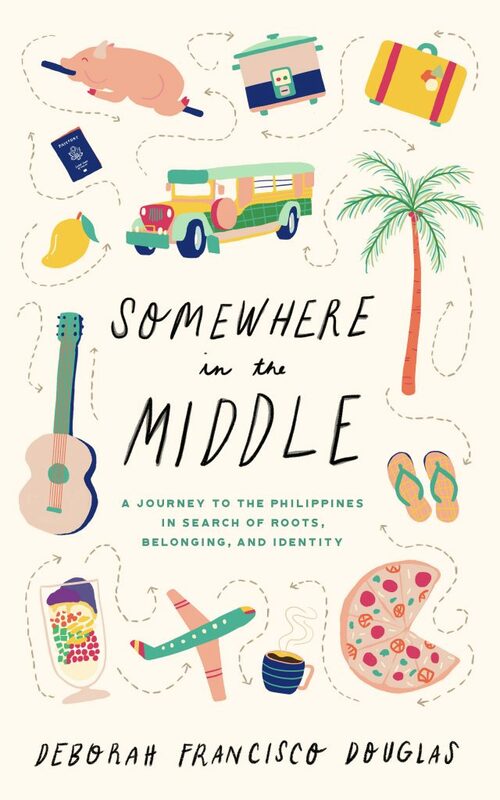 Filled with warmth and humor, Somewhere in the Middle captures the simple joy found in ordinary moments and in the people we share our lives with, shedding new light on what it truly means to find the place where you belong. Whether you’re hoping to unearth your own cultural roots, volunteer abroad, or find your next travel adventure, this memoir offers inspiration for all those yearning to discover who they are and where they belong in the world. Keep me updated on this book! You can read more about the creation of this memoir by viewing past posts. Sign up for the mailing list for exciting news on the progress of the book in the next few months. Thank you for being a part of the journey!